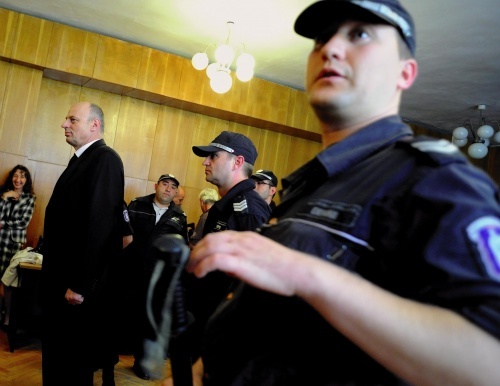 The Court in the western city of Kyustendil ruled late Thursday to release former Kosovo PM, Agim Ceku. Bulgarian police arrested Tuesday evening the former Kosovo Prime Minister on an international warrant issued by Serbia for alleged war crimes. "I have been a factor in many political events, so my possible extradition will worsen a great deal the complicated ethnic relations in Kosovo and eventually complicate the relations between our two countries," Ceku told the magistrates, adding he was not guilty of anything and never in his life committed a crime. Ceku's defense council told the Kyustendil magistrates that there was not enough proof to show the Serbian Court in Nis that sentenced Ceku to 20 years behind bars was competent to deal with the case. The attorneys also presented as evidences several documents - a letter from Bulgaria's former Foreign Minister and Member of the Parliament, Solomon Passy, who as Chair of the parliamentary Foreign Policy Commission invites Ceku to visit Bulgaria, documents signed by Kosovo current PM Hakim Taci, showing Ceku is a member of the Kosovo diplomatic team, a UN letter stating that Ceku's case is not within the competency of the Nis Court.